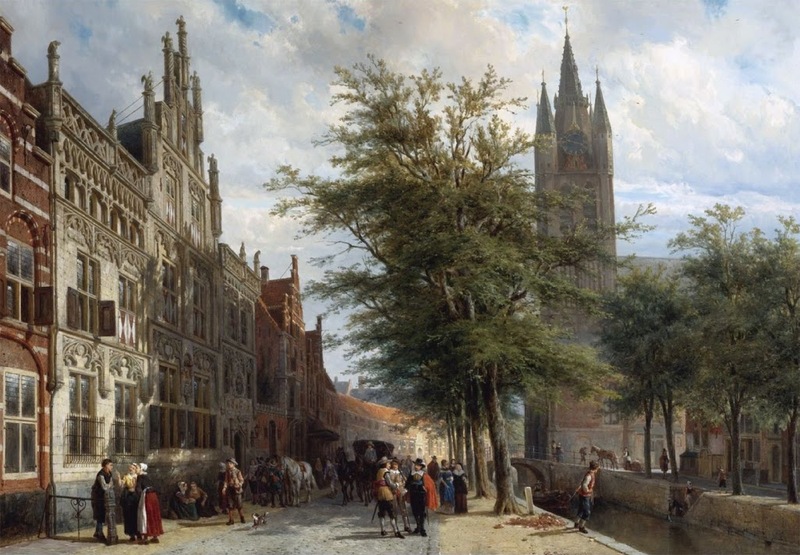 Painting by Cornelis Springer (1817-1891). The last great master of the Dutch townscape, he re-covered a lot of the ground that others had made iconic hundreds of years before. If there is anything that distinguishes these views as more nearly modern, it may be that the great towers that dominate the towns are in a slightly romantic soft focus; perhaps still reverenced if not worshiped for what they represent. The activities in the street receive more detailed attention.